I found more photos to post from last August! This one is from the X-Class video I did for Christian Bautista’s 10 Year Anniversary Concert. Though I already posted the final cut some weeks ago, I never really got to tell you how we did the video. Here’s a little backgrounder: this is my second time to work with Christian. The first MTV I did was for his song with 90’s band Neocolours, called “Sasabihin”. This video is very different from that one. It is action-packed and had actual fight scenes that we had to memorize. I did an action teleserye once before in 2010: it was my first acting role, and it was with Jake Cuenca, Sam Pinto and Xian Lim. This one was very similar to that except we carried guns and not bolos and knives. This was going to be Christian’s first action role as well, and I have to say, he did an amazing job. We worked with incredible stuntmen too, who really made us look good. I took some photos with my phone for the two-day shoot. I really wish I had my camera with me, but I couldn’t carry it with me for the action scenes. Here I am doing hair and makeup. My makeup peg was Korean pop. 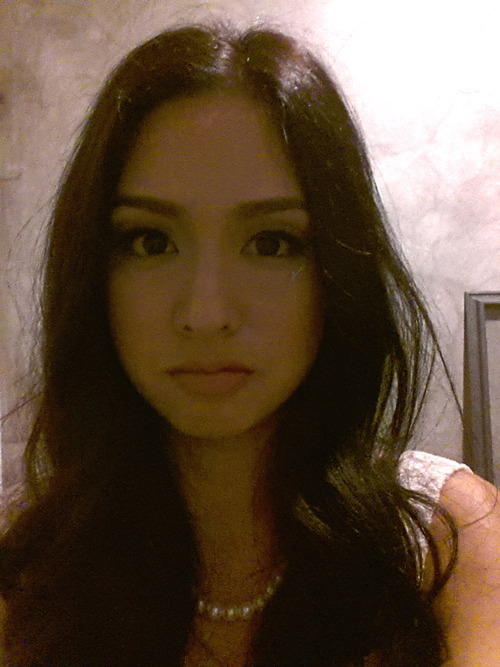 As we found out at the shoot, soft waves was hard to maintain. The heat made my hair straight! Here’s my foot getting Leukoplast-ed (its this plaster with adhesive). I was supposed to run around in heels for the scenes but it was raining and it was just too difficult to do so I had to go barefoot instead. Here’s the stylist ripping my dress. 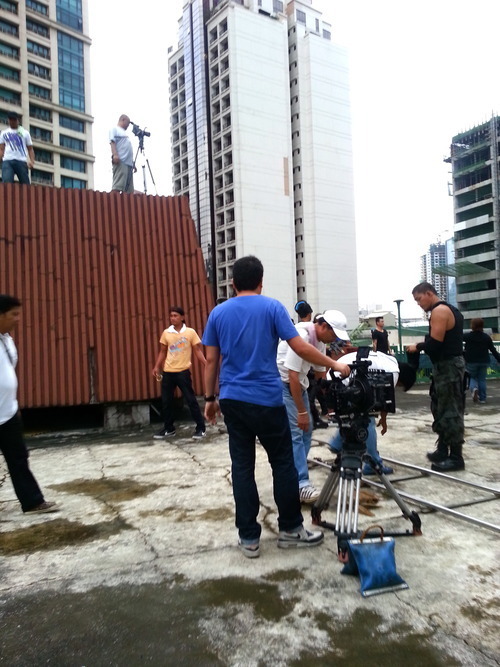 First scene was shot on a rooftop of a building in Makati. Here’s my accessory, a broken handcuff. We moved to photographer Sara Black’s studio for the rest of the shoot. Here I am at 330 in the morning. We had to shoot the last part with green screen. That’s Christian about to jump off a building. Day Two: my makeup is more K-pop than the day before. Thankfully all my closeups will be done today (so it wont be obvious). 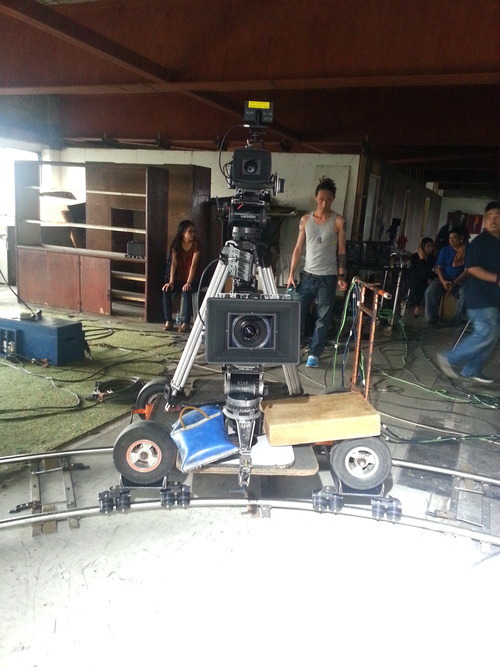 We shot the rest of the video in a really old building in Quezon City. 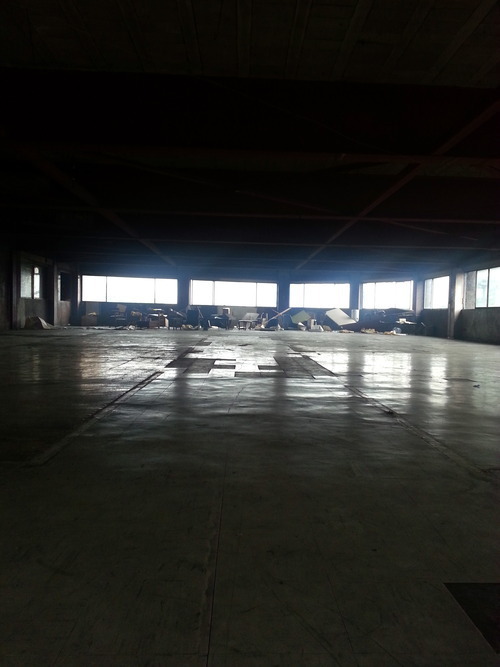 This whole floor was empty. Just old chairs and desks in this wide space. This was at 5am and we were shooting the last scene. It was tricky because they had to use guns and explosions for this. I shot a gun for the first time on this day (with blank bullets). It was very noisy, but I ended up liking it. These stuntmen were showing us what to do. To watch the X-Class Christian Bautista 10th Anniversary Concert Teaser, type ‘Christian Bautista’ on the Search button on my page.